incredibly beautiful birds. love their 'fish scale' feather patterns. Lovely pictures of a beautiful bird. A beautiful bird, Beautifully captured. 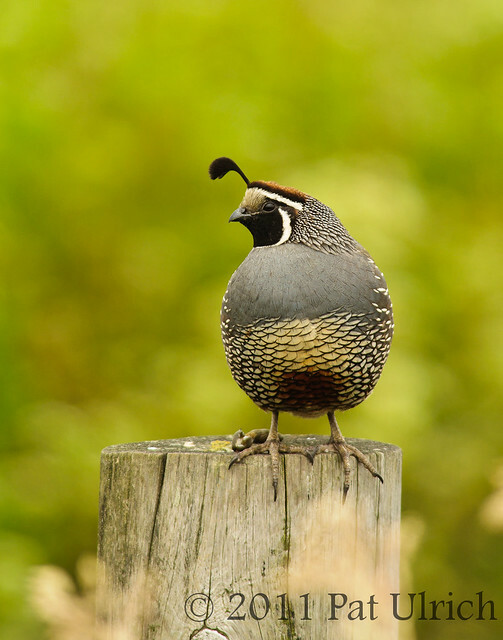 The California quail is a small, plump bird with a short black beak. The male has a gray chest ,brown back and wings. It has a black throat with white stripes and a brown cap on its head. The female has a gray or brown head and back and a lighter speckled chest and belly. Thanks for sharing it! 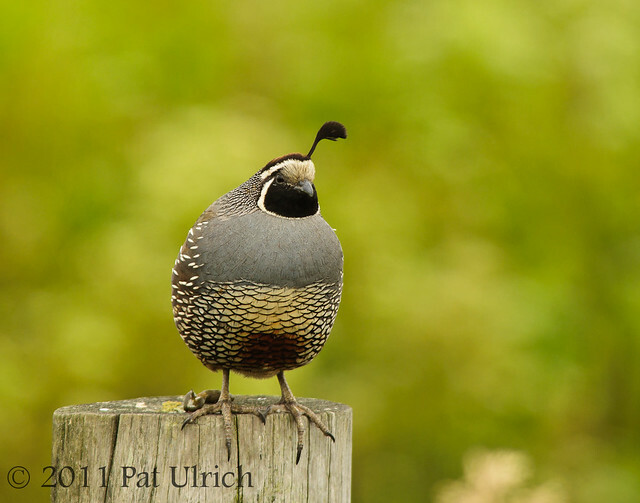 I NEVER tire at viewing your sensational quail photos! They are specially stunning birds and you have captured them so beautifully. Fantastic, as always! What a slick new set-up with the slide gallery. One can just sit back and enjoy a slice of your nature life. Another beautiful image of a stunning bird. Nice composition, color, sharpness and BG Pat.